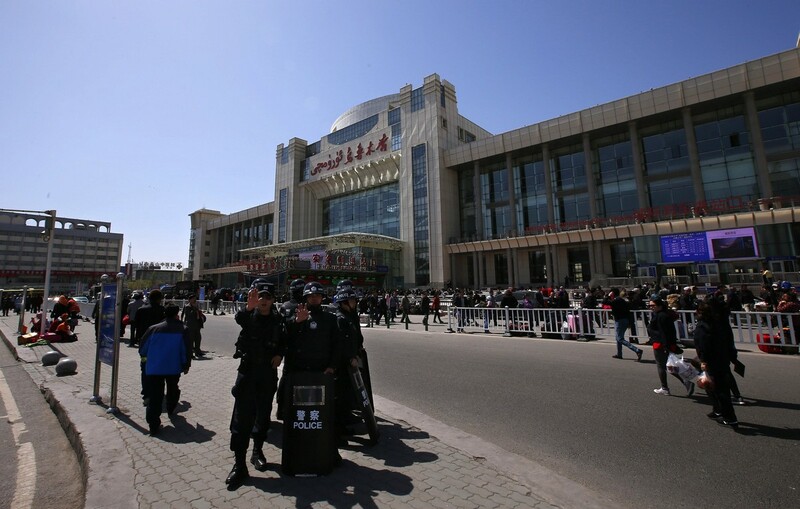 BEIJING - The capital of China's far western Xinjiang has banned the wearing of Islamic veils in public, the regional government said on Thursday, in a move experts worry could spark more unrest in the troubled region. 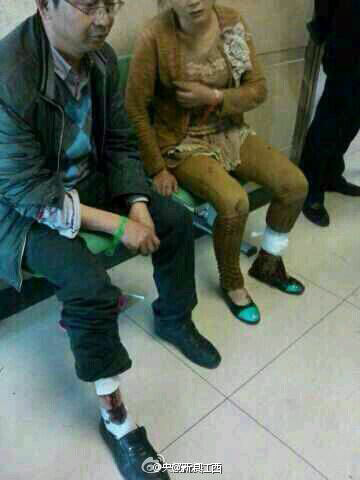 The restriction comes as China is stepping up curbs on religious clothing amid increasing nervousness about Islamist extremism. 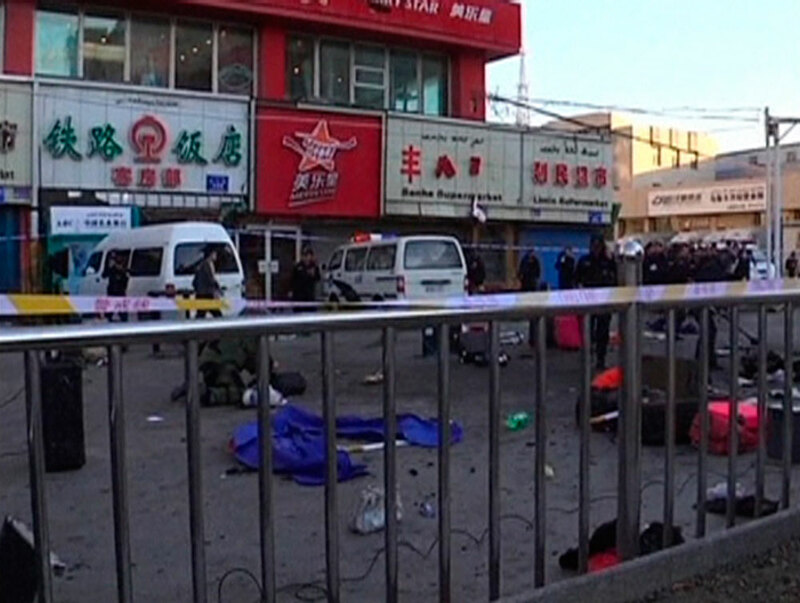 Beijing blames Islamist separatists for several deadly bomb and knife attacks that have killed hundreds of people over the past two years or so. 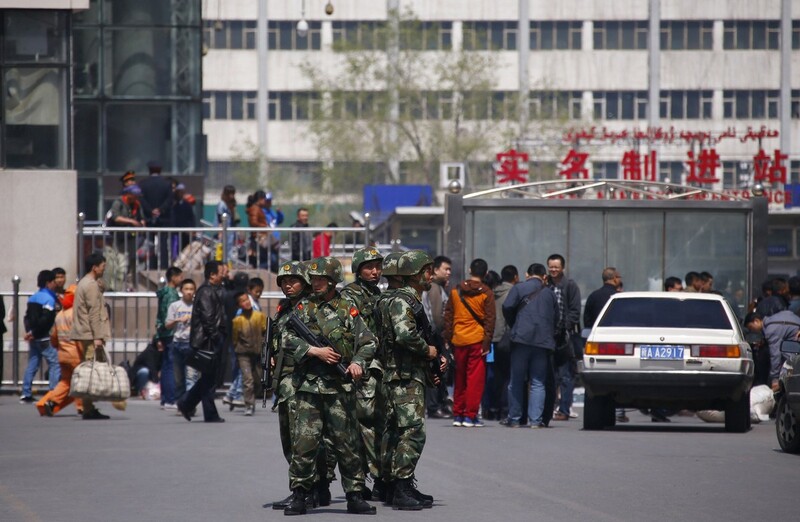 Many Xinjiang experts say the outlawing of veils and the heavy-handed enforcement of the rules would further stigmatise the region's minority Uighurs. 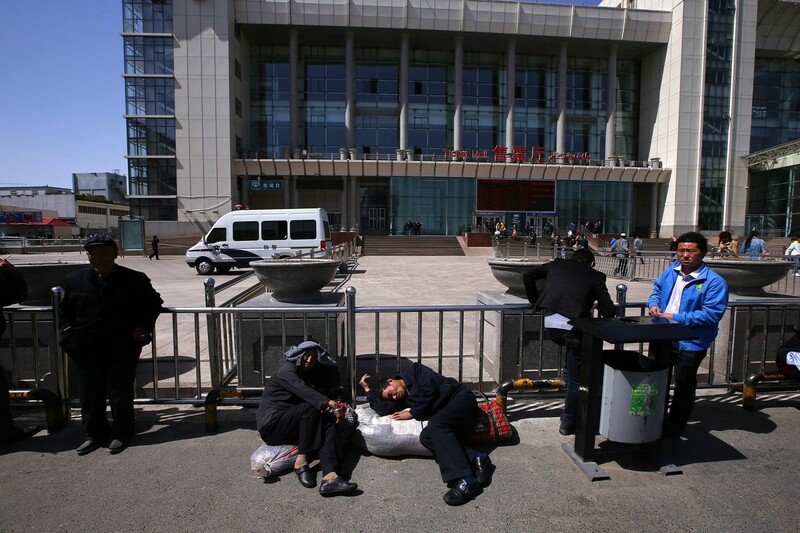 The veil ban was "considered and approved" by the Urumqi parliament's Standing Committee on Wednesday, the official news website of the Xinjiang government said. 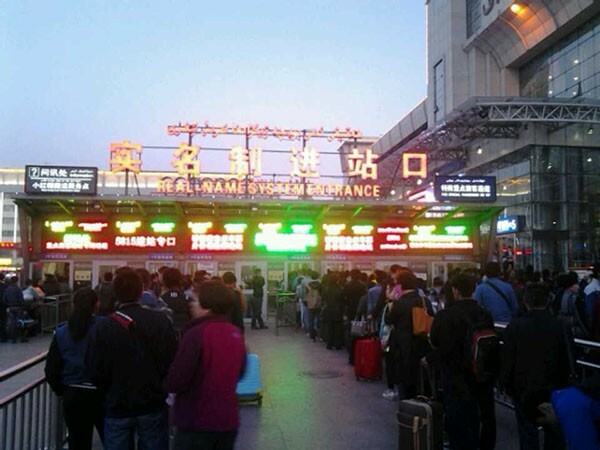 It is scheduled to come into force after review by the Xinjiang parliament's Standing Committee before it is formally announced, the website Tianshan.net, reported. 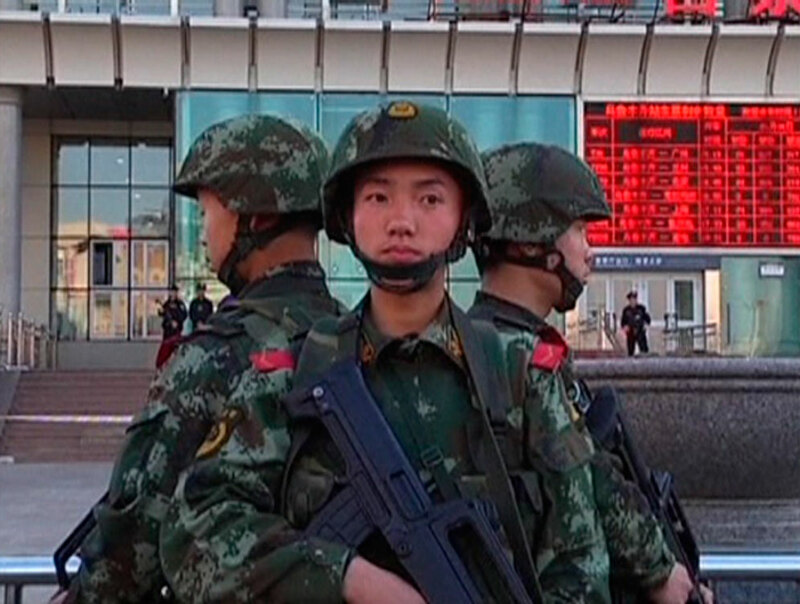 Armed police officers stand guard at the South Railway Station, where three people were killed and 79 wounded in a bomb and knife attack, in Urumqi, in this still image taken from CCTV video shot April 30, 2014. 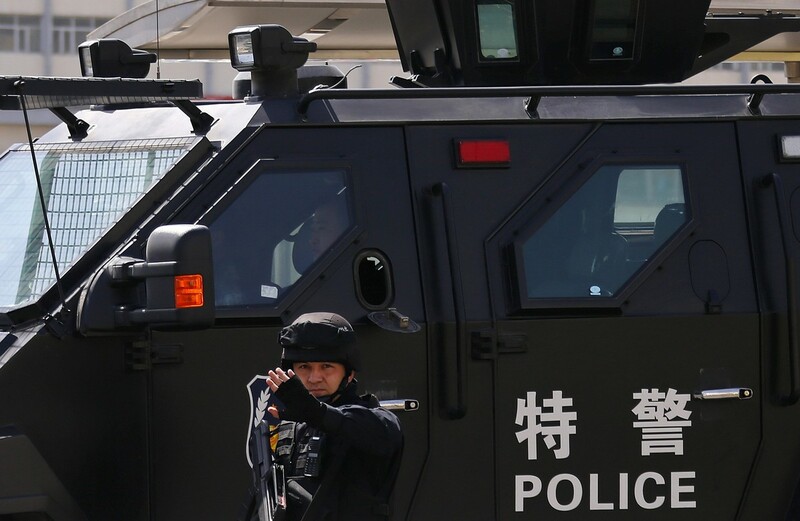 The incident occurred in the far western region of China on Wednesday, state media said, as Chinese President Xi Jinping was wrapping up a visit to the area. 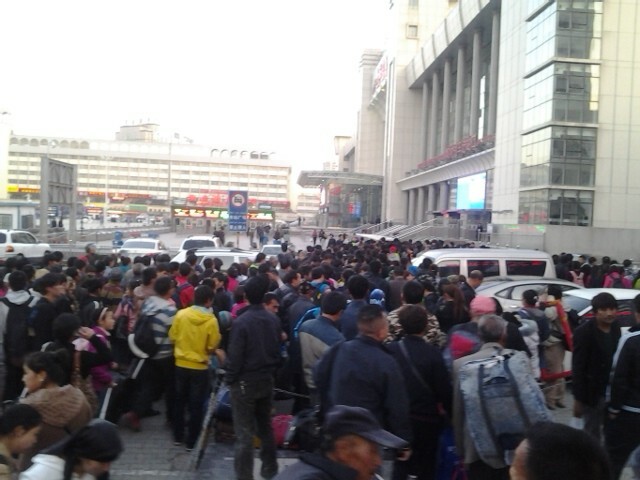 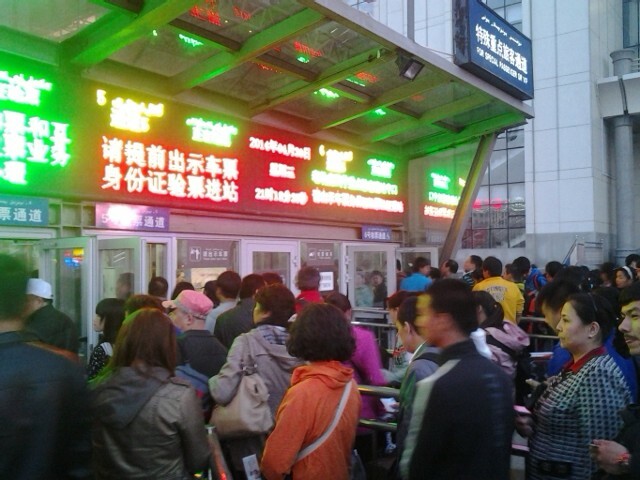 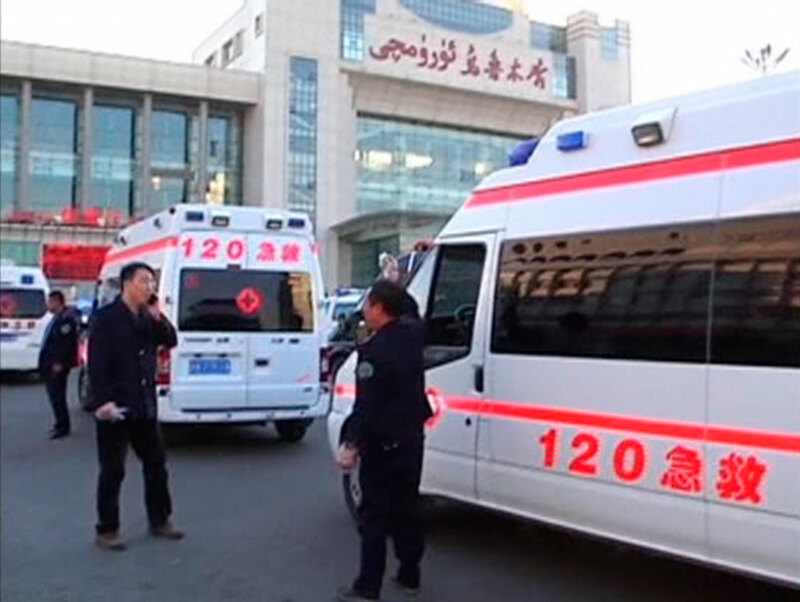 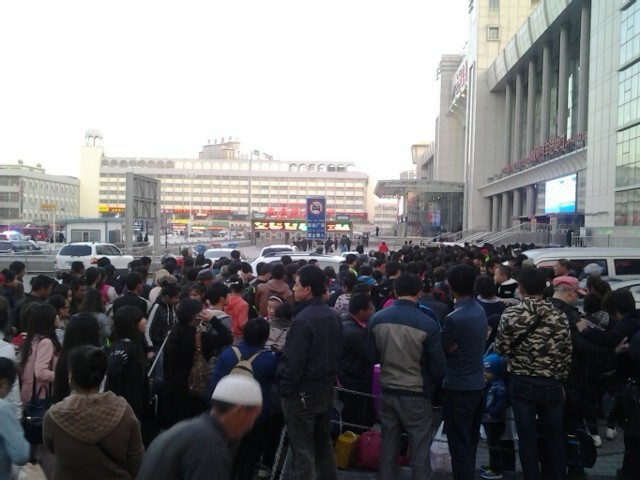 Quoting police, Xinhua news agency said "knife-wielding mobs slashed people" at an exit of the South Railway Station of Urumqi, capital of the Xinjiang region, and set off explosives. 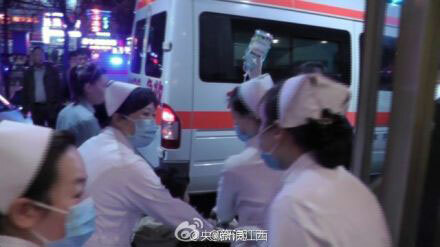 Four people were seriously wounded but were in stable condition. 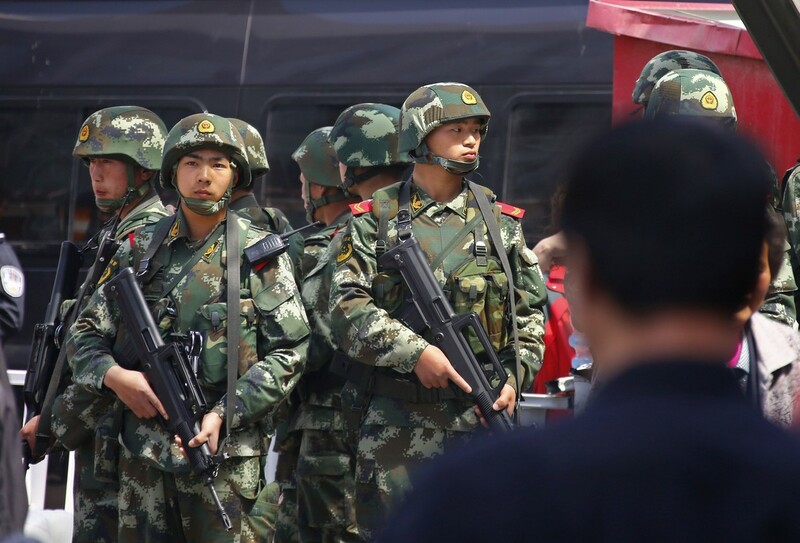 The assault came on the same day that President Xi Jinping ended a visit to Xinjiang in China’s far west, home to the country’s mostly Muslim Uighur minority. 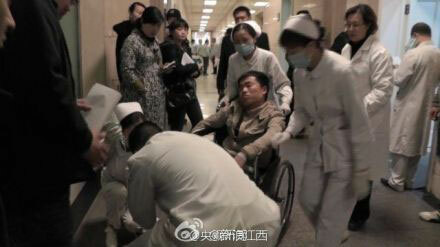 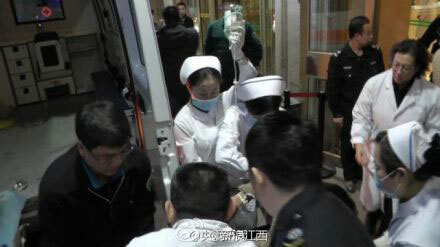 Four people were seriously injured in the attack but were “in a stable condition” after being sent to hospital for treatment, Xinhua reported, citing local Communist Party officials. 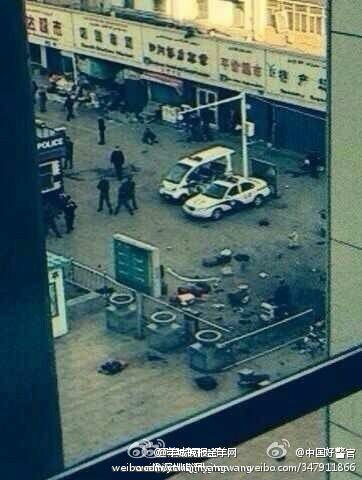 President Xi moved swiftly to urge “’decisive actions’ against violent terrorist attacks” following the incident, Xinhua said. 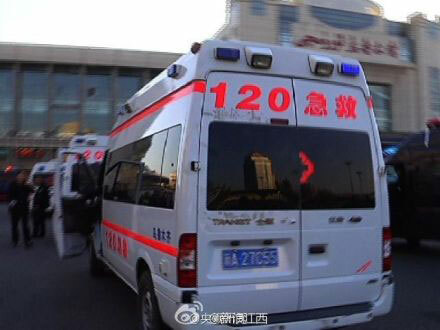 The blast, which occurred at 7.10pm local time, was “centred around luggage left on the ground between the station exit and a public bus stop,” Xinhua said, citing witnesses. 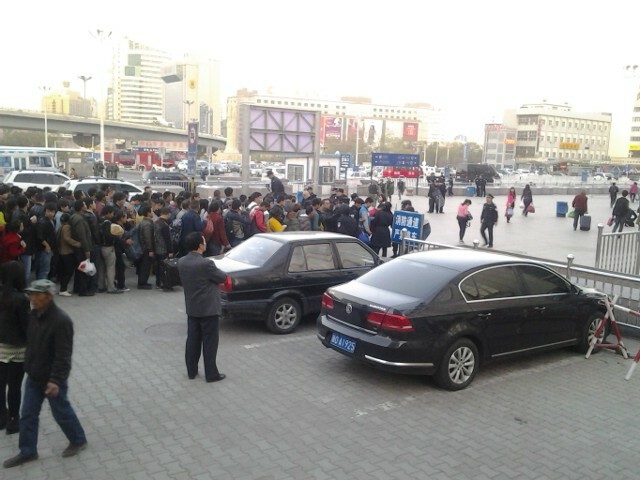 Many online postings relating to the incident on China’s Twitter-like microblog Weibo have since been removed, including images from apparent witnesses and posts from news organisations. 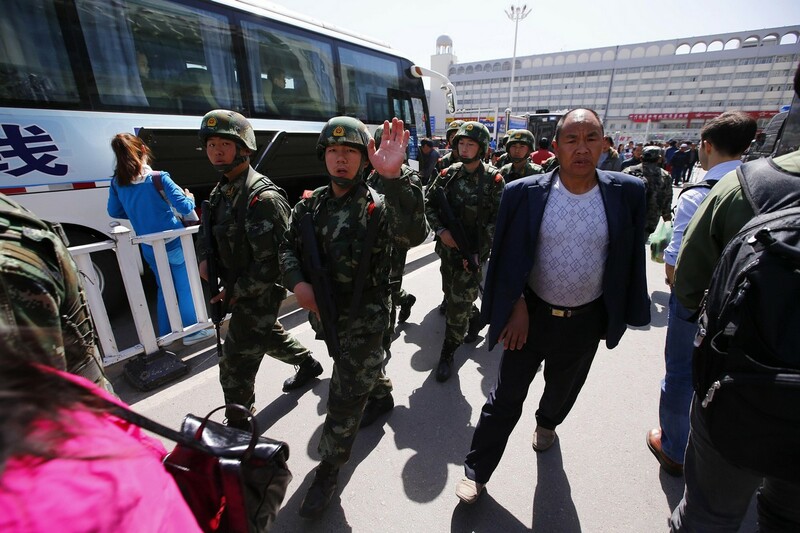 Xinjiang, home to the Uighur people who speak a Turkic language, has been beset for years by violence that the government blames on Islamist militants or separatists. 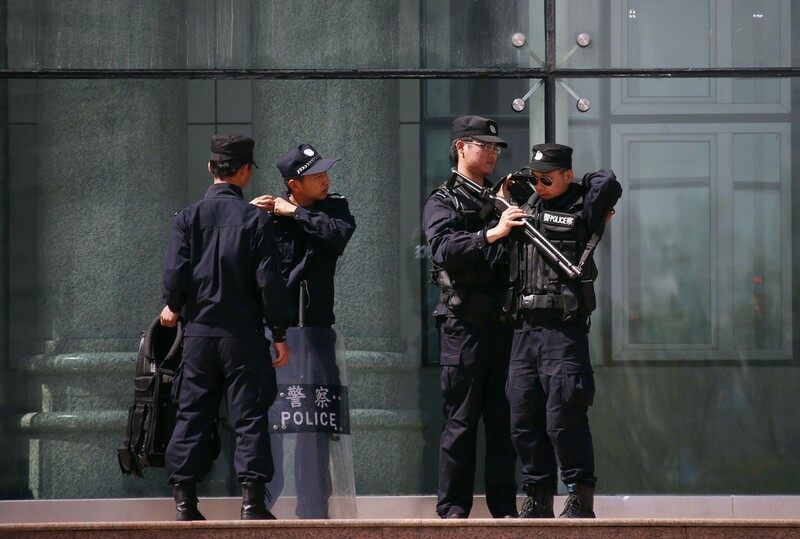 James Leibold, an expert on China's ethnic policy from Melbourne's La Trobe University, said the ban on the veils would make them "more popular as a symbol of resistance and assertion of ethno-national identity". 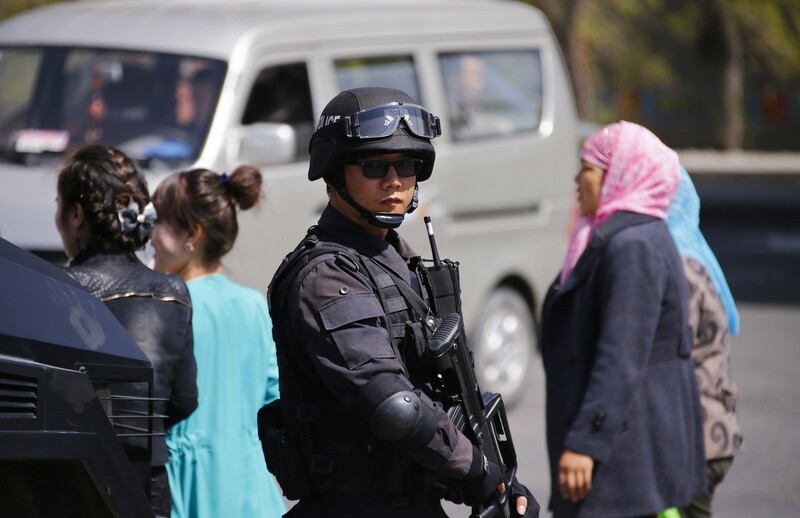 "The Party has drawn a one-to-one link between these styles of head, face and body covering and religious extremist thought and violence," said Leibold, who is researching anti-veiling practices in Xinjiang. 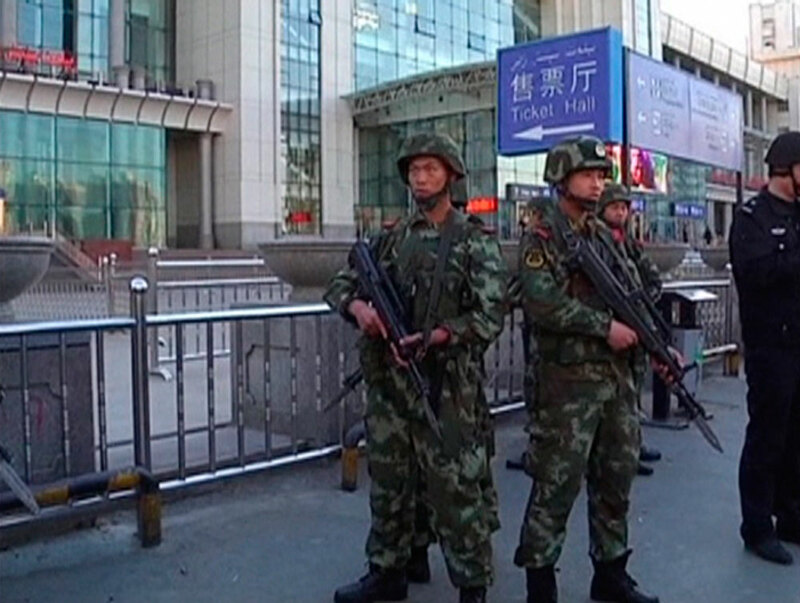 "It's a very crude and counterproductive way of trying to deal with the problem of terrorism." 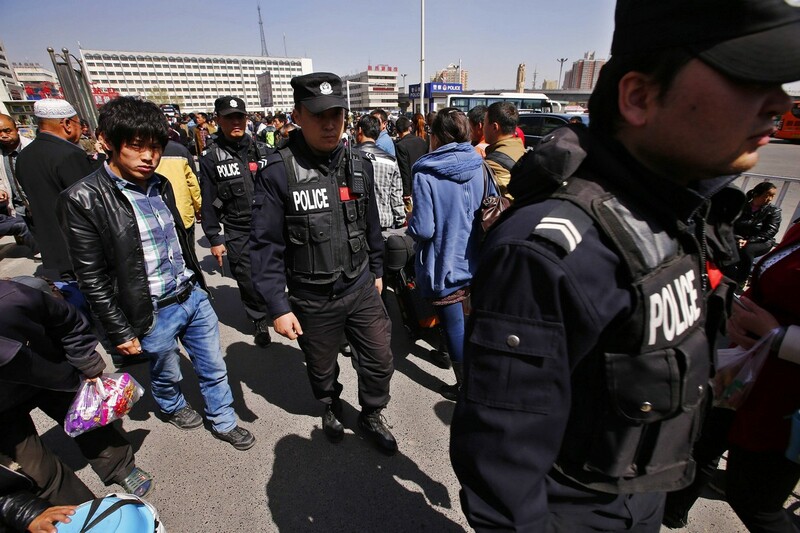 Exiles and many rights groups say the real cause of the unrest is China's heavy-handed policies, including curbs on Islam and the culture and language of the Uighurs. 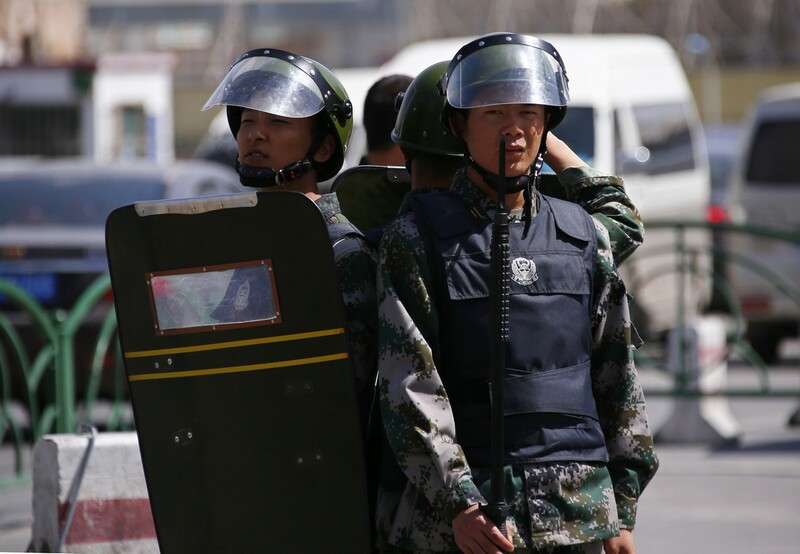 Last month, Xinjiang said it has banned the practice of religion in government buildings and people will be prohibited from wearing or forcing others to wear clothes or logos associated with religious extremism, in a package of regulations aimed at combating separatism. 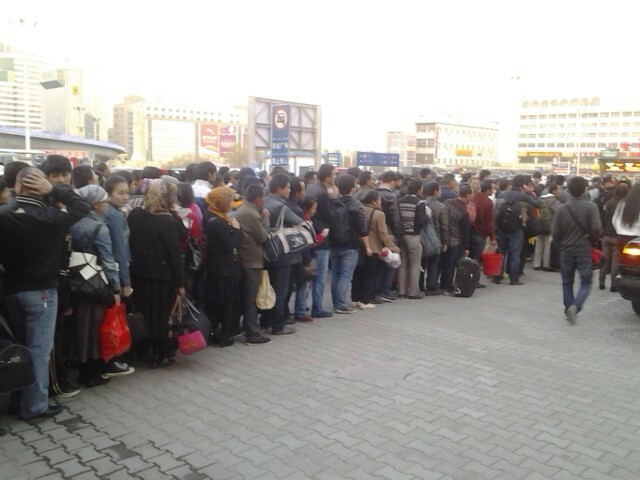 In August, Karamay, a northwestern city in Xinjiang, banned people with head scarves, veils and long beards from boarding buses.